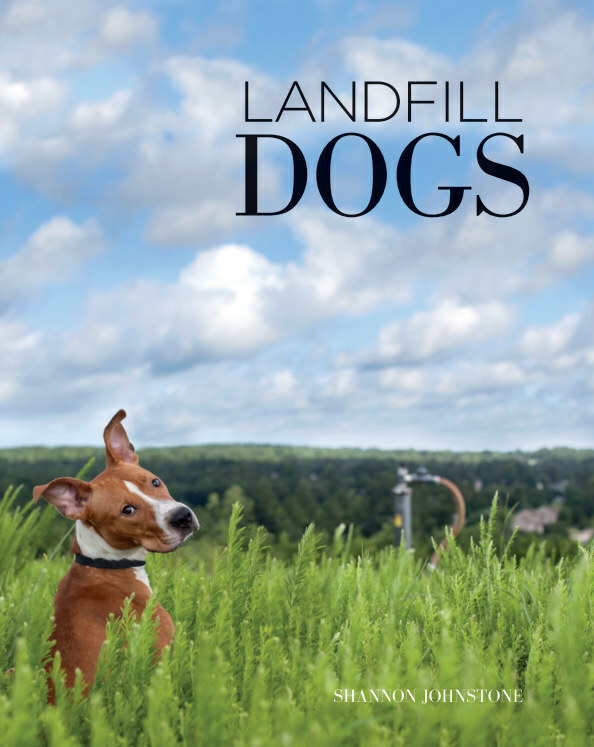 As seen on ABC World News with Diane Sawyer (2013) and CNN (2015), "Landfill Dogs" features of the most overlooked dogs from a county shelter in Raleigh, NC. Through this photography project more than 160 dogs have found homes or been sent to rescue. This book is a story of who the Landfill Dogs are, a compilation of their portraits at Landfill Park, and also features individual adoption stories. A must have for any animal advocate! ALL proceeds ($25 from each book sale) go directly toward helping shelter animals. More info at the Landfilldogs website. Shannon Johnstone received her BFA from The School of the Art Institute of Chicago, and MFA in photography from Rochester Institute of Technology. She is the recipient of numerous awards including “Pause, To Begin” artist, Critical Mass Top 50 (2009, 2010), and Honorable Mention in Lens Culture’s 2010 International Exposure Awards. Most recently she became one of Photolucida’s 2013 Critical Mass Finalists, and the Photographic Resource Center at Boston University selected her work for a “Staff Picks Award” in the Exposure 2013 competition. Johnstone is a tenured Associate Professor at Meredith College in Raleigh, NC.